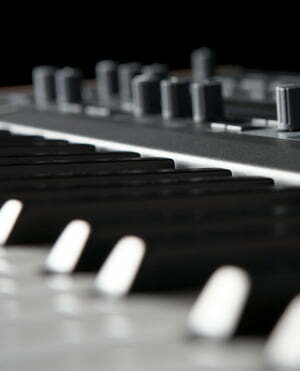 If you are looking for a stage piano with light synth abilities, MIDI connectivity to your interface and BUILT-IN SPEAKERS so that you don't need to hook it up to monitors or an amp, then look no further. There are inexplicably few products out there that meet this set of criteria. 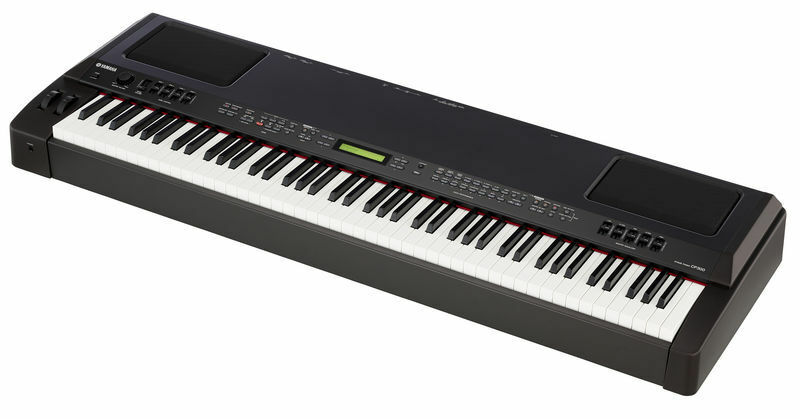 Yamaha's CP300 might not be a new product, but then again there is no reason for them to change or update it - it works perfectly as is and enjoys a clear market space that one of the other players surely has to recognize as an opportunity sooner or later. Until then: people should keep buying CP300s. For a long time, I was looking for an ePiano, which convinces with both sound and live to have fun, as well as functional, to leave nothing to be desired in the studio. Tonlich I find the CP300 with its two wings really good. It can be played wonderfully dynamically, the keyoff sounds, which can be varied in intensity in the menu, convince and ensure a really pleasant playing feeling. The string resonance does its ... (it can also be adjusted in its intensity) The possibility to connect 4 pedals then completes the range of possibilities that an acoustic instrument has to offer. Each voice can be edited so that if the default voices are not in the mood, they can be adjusted to their own tastes and preferences. I have tried this but very quickly noticed that the voices as they are, are very mature and thought out. The wing sounds are very convincing and I have been able to achieve this very well both in the live bandsound as well as in the accompaniment to mastered CDs. In the ePianosounds are some, which are very high-quality productions such as "We are the World" recall the characteristic sound and meet the expectations. ID: 193720 © 1996–2019 Thomann GmbH Thomann loves you, because you rock!